On the first of May 1974 Neil Seldman, Gil Friend and David Morris self-consciously incorporated the Institute for Local Self-Reliance. We thought it made for a suitable birthing day. A little history might be in order. Traditionally May Day marked the beginning of spring. In the Middle Ages it belonged to the workers. No work was done and the landlord of was required to provide a huge feast for all his tenant farmers and employees. The day was totally given over to enjoyment: dancing, singing, games, feasting. After the Civil War as the industrial revolution moved into high gear, workers organized for an 8-hour day and used May 1st as the day for demonstrations. On May 1, 1886, protests erupted across the United States. Some 340,000 workers took part. An estimated 190,000 went out on strike. As a large peaceful protest was winding down in Chicago’s Haymarket Square on May 4, 1886 someone threw a dynamite bomb that killed a policeman. That led to a battle in which 12 were killed. A widely publicized trial followed and the eventual hanging of four anarchists. What came to be known as the Haymarket Massacre became a powerful symbol for workers around the world. In 1889, the Second International, a group comprised of leading communists and anarchists officially initiated the tradition of May Day labor demonstrations. In 1894, the first Monday in September was established as a federal holiday in the United States. May Day celebrations later spread to Communist governments. 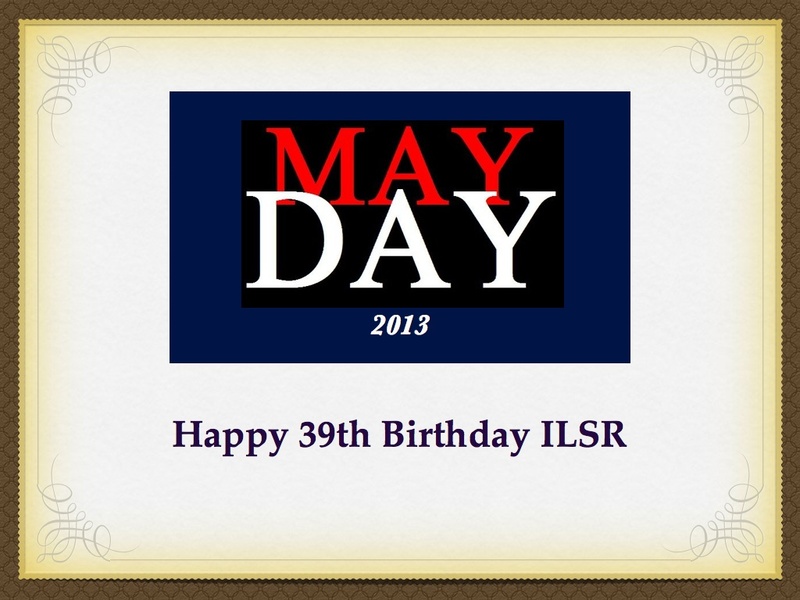 Which led President Eisenhower, in 1958, to proclaim May 1 as Law Day.